← What does Customer Centric Leadership look like? 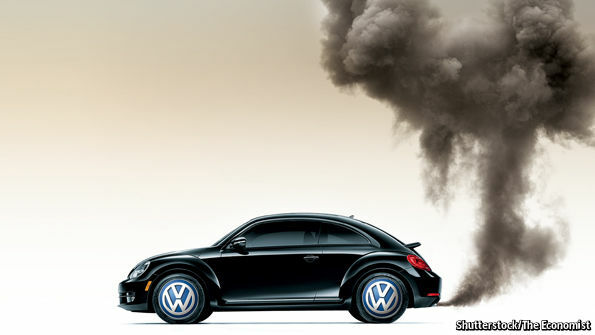 One of the most dramatic instances of breaking a promise to customers came during this past week as VW admitted to deliberately misleading regulators and customers about its car exhaust emissions. More than 11 million vehicles had been fitted with software designed to trick emissions testers. What the hell were they thinking? Clearly not what we see from customer centric organizations that live by the motto – “What’s best for the customer is best for the business”. If that one phrase had been part of the culture at VW it might have stopped what has turned out to be a multi-billion dollar problem. According to the Economist they have set aside more than $7bn to resolve the issue. This massive betrayal is not only going to impact customers but employees around the world will lose their jobs through no fault of their own. No doubt it will be a massive blow to the morale of those employees still left. When companies align their interests with those of their customers both profit, surely it is the only way to conduct business in the future? This entry was posted in Case Study, Customer Centric Values, Market Culture Inaction, Trust and tagged customer trust;vw;strategic alignment. Bookmark the permalink.